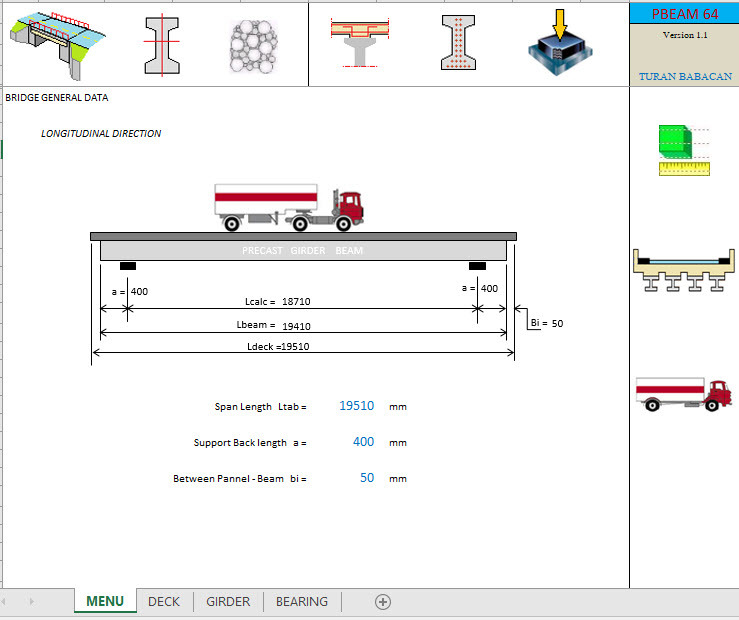 Bridge design excel sheet contains on the analysis and design of bridge. 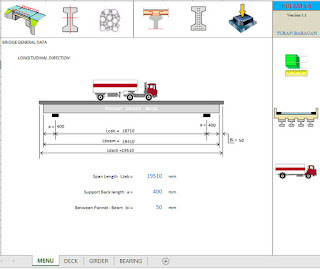 this excel sheet make analysis and design all parts of bridge such as deck, girder and bearing.bridges generally have more stringent performance requirements compared to steels used in buildings and many other structural applications. Bridge steels have to perform in an outdoor environment with relatively large temperature changes, are subjected to millions of cycles of live loading, and are often exposed to corrosive environments containing chlorides.